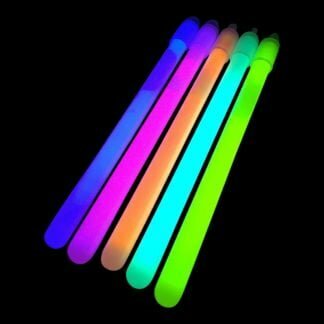 Our best value glow stick! Each stick is 6″ long, 1cm thick and supplied in tubes of 25 with lanyards so they can be hung around the neck. 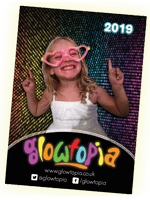 Glowtopia’s best value glow stick at 6 inches long and 1 cm thick these are high quality but cheap glow sticks. Available in 8 different colours, blue, green, pink, orange, yellow, red, white or purple you won’t find a higher quality product for a better price. 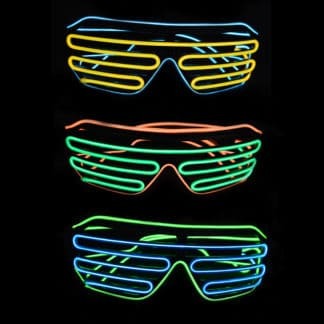 Perfect for Festivals, School Discos, Charity Runs, Raves, Hen Dos and Night Time Events. 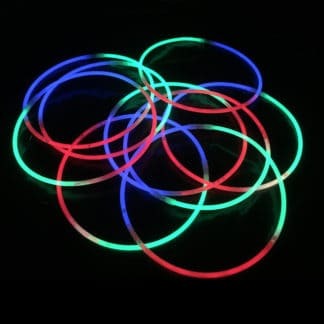 Our Glow Sticks are easy to activate and assemble. Simply remove the contents from the package, bend and snap the sticks and then shake them firmly to start the glow! Use the supplied end caps to attach the hooks and then lanyards can be attached so they can be hung or tied around the neck. 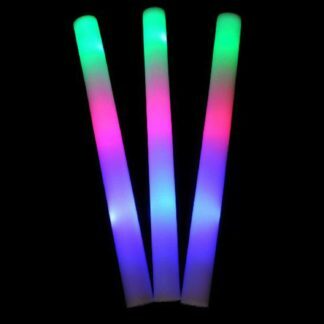 Once activated the glow sticks will remain glowing for 12+ hours. All our 6″ 10mm Glow Sticks are supplied in tubes of 25, complete with 25 end caps and 25 lanyards. Exactly as the description, snap easily to produce the light and glow bright for well over the 6 hours I needed. I expect the caps and cords would be of use to some people so handy that they are included. 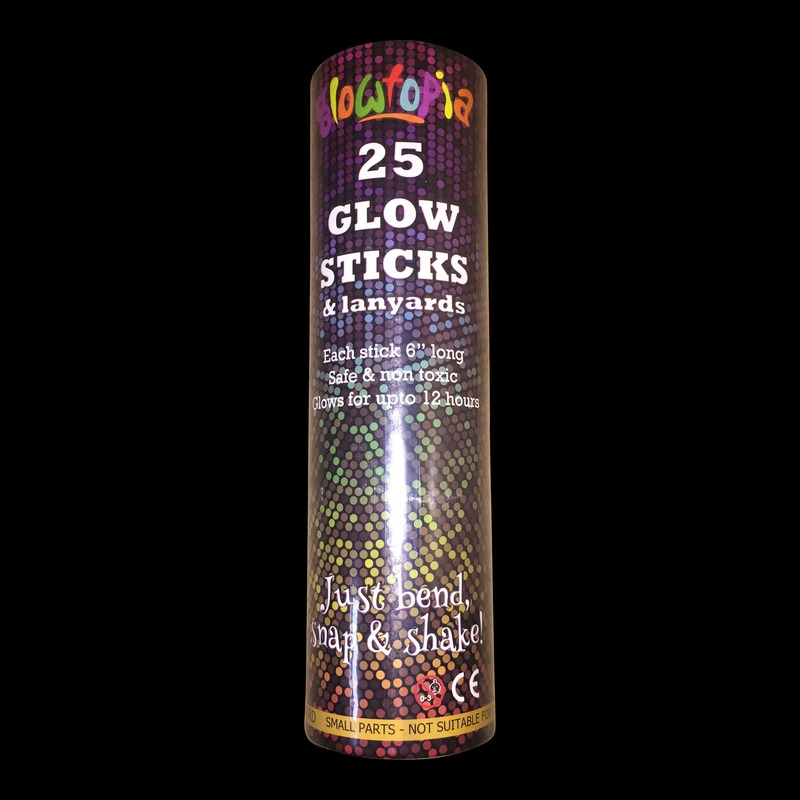 Great product, great delivery and really easy to put together and great for lighting up tents at night whilst camping. 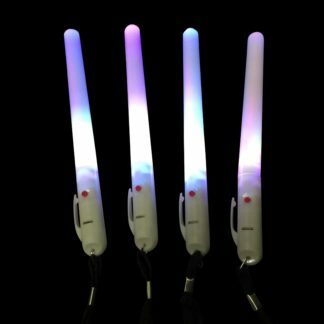 also useful for concerts and festivals. 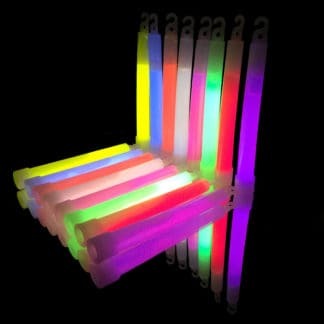 They’re stick shaped and they glow. They are great and last longer if you leave them in the freezer over night. Works just like described and the size was bigger than the one I imagined and I had previously. Good colour and duration; come with a nice red ribbon instead of the usual thin bit of string – which is rather nicer if you’re planning to hang them from things. Huge party coming up and wanted something especially to light up the evening. Found this company and where cheapest I found. Range of products where great and delivery was fantastic!! !